The Centre of Research on the Internationalisation of Local Economies (CRIEL) aims at developing and diffusing knowledge about evolution and internationalisation of local economies. The Centre conducts comparative research on models of local economic development, analysing the emergence, evolution and governance of local production and innovation systems, both in industrialised areas and in developing regions. The Centre’s research agenda focuses in particular on the evolution of local production structures, following the progressive integration of territories into the global economy. The economic analysis is supported by a peculiar attention to the role of public and private partnerships, institutional mechanisms and policies at different levels in setting or strengthening endogenous development processes. In accordance, the research work is oriented towards improving knowledge about the evolving nature of territorial comparative advantages and the emergence of governance architectures. 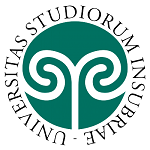 The Centre is affiliated to the Department of Economics of Insubria University and is involved in a wide international research network of Universities and institutions from developed and developing countries. Faculty Members and Research Fellows of the Department of Economics of Insubria University participate to the research and training activities of the Centre, which also enjoys collaboration from members of other Universities and research institutions. The Centre conducts research on both theoretical-interpretative issues related to local economic development and international competitiveness of local systems and on topics of specific interest for the socio-economic system of the Varese area and the Insubria region. The first line of research has been generally finding financial support from national and international research institutions, giving rise to wide networks of international collaboration. The second line of research reflects into an agenda of projects commissioned and funded by local institutions. The Centre conducts training activities in the field of local economic development, at both the national and the international level. At the international level, the Centre affiliates have been taking part in activities of professional training for actors of local development in Guatemala, Cuba, Colombia (in partnership with ILO, UNOPS and Circle-UNDP), and in local development training programmes for civil servants and public executives of the Vietnam Provinces, within the European Union funded Asia Link Programme (jointly with Universidad Autonoma de Madrid and National Economics University of Hanoi). The Centre promotes educational activities and professional training for local and regional actors and takes part, with other local training institutions and business associations, in training projects concerning SMEs and the school/work pathways. The Centre affiliates take part in the organisation and teaching of the Master in Local Economic Development of the Faculty of Economics, Insubria University.